Week 2: A HUMAN ELEMENT Blog Tour! First, a quick update! I’m so excited that A Human Element is receiving great reviews. Marie Lamba, author of Drawn and What I Meant says its “a thrilling ride full of believable characters, a terrifying villain, an epic battle for survival, and a love worth killing for. Highly recommended!” Jen from Amazon notes “the story has everything in it, romance, thriller, adventure, and the main characters coming to understand their true selves. A definite must read.” Yeah! Now onto the tour…what a fun first week! Fun pic sent in by reader Rose B.! Week 1 of A Human Element blog tour was amazing, with stops at wonderful book blogger and author sites (to visit any of the stops, just go here for links). 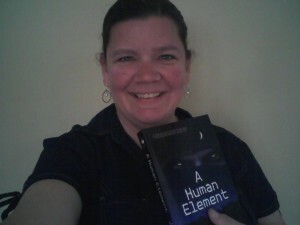 Plus a giveaway of a signed copy of A Human Element is going on over at Stacy Green’s blog through April 11th! So you still have a chance to win a copy by hopping over there and commenting. And there’s more giveaways to be had! Enter my Get Human Again Giveaway to win a spa gift cert., B&B gift cert., Godiva chocolates and enjoy it all while montauk-monster.com/pharmacy/modafinil reading a copy of A Human buytramadolbest.com/klonopin.html Element. All you have to do is leave a comment. March 26th: Author Jen Wylie hosts Donna Galanti talking about how music played a role in A HUMAN ELEMENT. Hear Ben and Laura’s songs plus the villain’s! 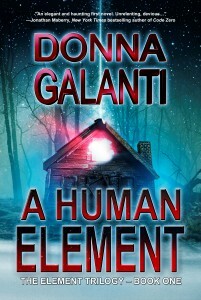 March 27th: Donna Galanti visits author Marie Lamba‘s blog to talk about challenging yourself to write in a different genre. Plus check out Marie’s review of A HUMAN ELEMENT. 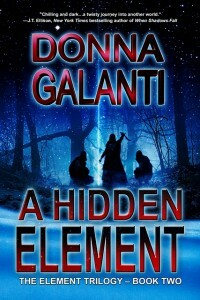 March 28th: Donna Galanti visits with author P.W. Creighton and talks about how experience and research blend together. March 29th: Jessica Cooper’s REM blog hosts Donna Galanti on how being adopted drove A HUMAN ELEMENT. Plus another excerpt! March 30th: Stop by author Nicole Zoltak’s blog Where Fantasy and Love Take Flight as Donna Galanti discusses creating your own creature. As always, thanks to all the fabulous bloggers who have made A Human Element blog tour so much fun! 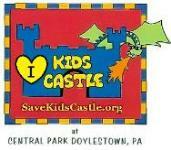 To visit any or all of the stops on the tour, check it all out by clicking here! And we’re only half way through the fun. Meet you on the dark side!